70 years after the lyrics “Chestnuts roasting on an open fire” made their way into our homes the song is still deeply ingrained in our holiday music and traditions. However, what most people don’t know is that American Chestnuts, the staple of early 20th century Christmas winter traditions*, have been nearly wiped out. In 1904, a blight imported on Asian chestnuts began to take a toll on the American chestnut. This blight was first noticed on the American chestnuts trees in the New York Zoological Park, now known as the Bronx Zoo. While Chinese chestnut trees weren’t very vulnerable to the blight, American chestnuts had little resistance and succumbed quickly. By 1950, four short years after Nat King Cole’s song debuted, the destruction was complete. The once most predominant and majestic tree of our Eastern forests has been reduced to a handful of pre-blight survivors struggling to survive in the wild today. The loss of the American chestnut has a great impact on wildlife and the industries of business built around them. 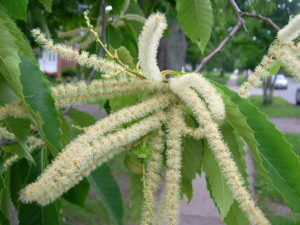 At the turn of the 20th century, American chestnuts were ranked as the most important plant in the eastern US. Chesnuts supported numerous wildlife species including, bear, deer, squirrels, wild turkey, birds and small mammals. Rural towns depended on the nuts to support their farming and economy. Chestnuts were relied on to fatten livestock and were a major cash crop shipped into the big cities for the holidays. 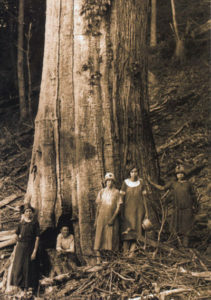 The timber industry was also affected by the loss of the American chestnut. As one of their best products, chestnut timber was used in the making of telegraph poles, railroad ties, heavy construction, shingles, paneling, fine furniture, musical instruments, even pulp and plywood. Thankfully, Scientists have not given up on the American chestnut. Numerous foundations are working on ways to bring back the American chestnut. The American Chestnut Cooperators Foundation is working on breeding surviving American chestnuts that have shown some native resistance to the blight. The American Chestnut Foundation is working on backcrossing blight-resistant Chinese chestnuts and American chestnuts so that the new trees have the growth characteristics and genetic makeup of American chestnuts with the addition of the Chinese chestnut’s blight resistance. 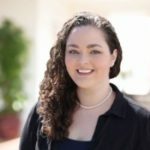 Researchers at the State University of New York College of Environmental Science and Forestry (SUNY ESF), are working on genetically modifying American chestnut genes to include oxalate oxidase, an enzyme that acts as a fungal defense (found in strawberries, bananas, oats, barley, and other cereals). Researchers are cautiously optimistic that through these tactics the American chestnut can be restored to its former glory. However, as the lyrics “chestnuts roasting on an open fire” echo throughout your home this holiday season, let them be a haunting reminder to cherish the environment because, Who knows? Your favorite tree or plant species might not survive through the next decade. *If you want to carry on the holiday tradition of roasting chestnuts, don’t fret. 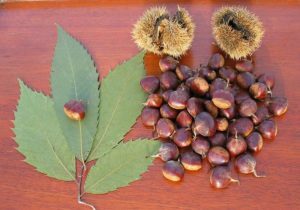 Until the resurgence of American Chestnuts occurs, families can count on roasting the European and Chinese Chestnut varieties.